Plants with tube-shaped or tubular flower shapes are particularly appealing to hummingbirds, whose very long specialized beaks are adapted to extracting flower nectar from deep inside floral structures. Hummingbirds are especially attracted to red and orange, including the reds in blue and purple flowers. These plants offer hummers healthful instant energy plus associated insect prey, protein for muscle growth. Offer tubal flowers, both native species and their domesticated cousins, throughout the year to support hummingbirds. There are 60 to 70 species of columbine, both native and domesticated. Also known as bergamot and horsemint, bee balm includes more than a dozen Monarda aromatic species in the mint family, all of them native to North America. Used medicinally by many indigenous peoples, bee balm also appeals to bumblebees and hummingbirds. Plants range in height from 2 to 4 feet tall and flowers run the gamut from white and pale pink to mauve, burgundy and scarlet. There are 60 to 70 species of columbine or Aquilegia, a group of native and domesticated or hybridized species found throughout the Northern Hemisphere. Plants do best in light shade and well-drained soil, and they can tolerate heat so long as they get some water during dry spells. Colors run to blue, purple and magenta with various two-toned combinations. 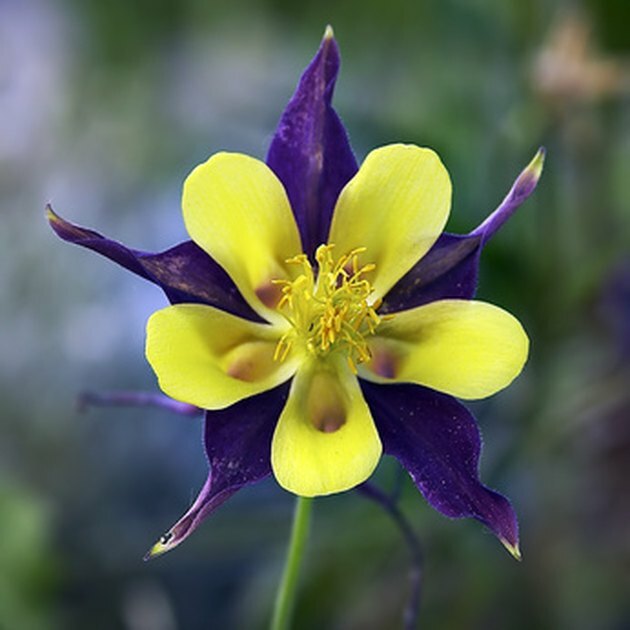 An intriguing species is yellow queen or golden columbine, Aquilegia chrysantha, a native of the southern Rockies with spectacular bright yellow tubular flowers. This snapdragon relative is also known as beardtongue or bearded tongue. The name is inspired by the fact that the penstemon's tube-like flowers open out to resemble an open mouth with a protruding hairy tongue. Flowers are prolific on tall, showy spikes that shoot up from basal leaves. Colors range from orange, red and maroon to blue-purple, lavender, various pinks and white. Penstemons are drought-tolerant perennials, once established, and do well in dry, sunny locations. Overwatering, wet winter soils and poor drainage doom them to rapid death. Also known as fairy trumpet, rocket flower and skyrocket, scarlet gilia or Ipomopsis aggregata is a sunny native perennial that also thrives in dry, drought-prone spots. It normally grows from one to three feet tall, but can reach five feet. It produces blooms all summer long, making it a favorite of hummingbirds and hawk moths alike. Long, thin tubular flowers open out into a star shape. Aside from the scarlet form, flowers can range from salmon pink to red-orange. Also known as trumpet creeper, trumpet vine or Campsis radicans is a sun-loving native North American vine that is as rugged and vigorous as it is useful--especially if you have an unsightly wall or naked fence that needs covering. Hummingbirds particularly appreciate trumpet vine in early summer, when its cheery tubular flowers open--orange or coral-peach being the most common colors, though red and yellow variants are available. Trumpet vine is very drought tolerant once established, making it easy to transform an unloved corner of the yard into hummer paradise.